A unique and lasting way to promote your special project. 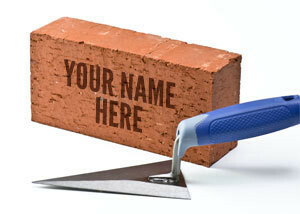 A personalized H.C. MUDDOX NAME BRICK is an ideal fund raising idea for projects. • Maximum of 15 (fifteen) letters per line/maximum 3 lines per brick.